High quality, low dose imaging. We are an independent medical imaging practice covering the Lower North Shore and Mosman peninsular offering a comprehensive range of high quality and low dose imaging. 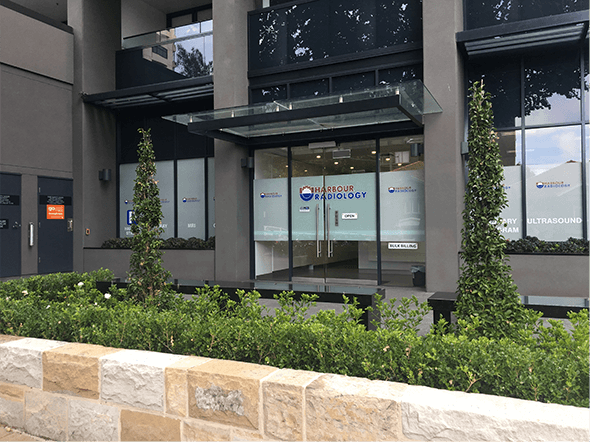 Harbour Radiology, North Sydney, opened its door to patients on 11th April 2016, but behind the relatively simple Scandinavian clean lined inspired façade of Harbour Radiology, is many years of work by Vahid, Nick and Adam. At Harbour Radiology, we are inspired by the hard work of our clinical colleagues diagnosing and treating human disease, and will do our best to use our expertise to assist our colleagues, and ultimately our patients. Modern medicine relies predominantly on imaging, allowing us to observe an interesting mix of human pathology.